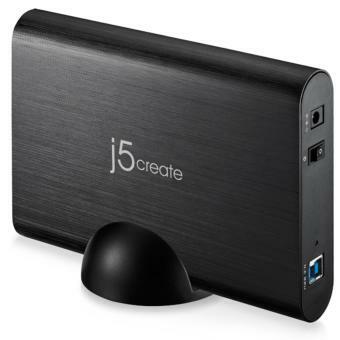 The j5create’s 3.5" SATA to USB 3.0 External Hard Drive Enclosure JEE351 lets you connect a 3.5inch SATA hard drive through USB 3.0, ideal for anyone in need of storing and transferring large amounts of data. Supporting data transfer rates of up to 5 Gbps.The USB 3.0 interface is backwards compatible with older systems (USB 2.0, USB 1.1) at speeds of 480 Mbps and 12 Mbps. The external hard drive enclosure features a compact, free-standing design that requires minimal desk space, and the sleek aluminum casing protects the driver from overheating and minimize vibration. This JEE351 external storage solution is compatible with Windows® operating systems, Linux® and Mac® OS X.
USB1.0 – USB 3.0 specifications.